Showing results by narrator "Barbara Ehrenreich"
In middle age, Ehrenreich came across the journal she had kept during her tumultuous adolescence and set out to reconstruct that quest, which had taken her to the study of science and through a cataclysmic series of uncanny - or as she later learned to call them, "mystical" - experiences. A staunch atheist and rationalist, she is profoundly shaken by the implications of her life-long search. 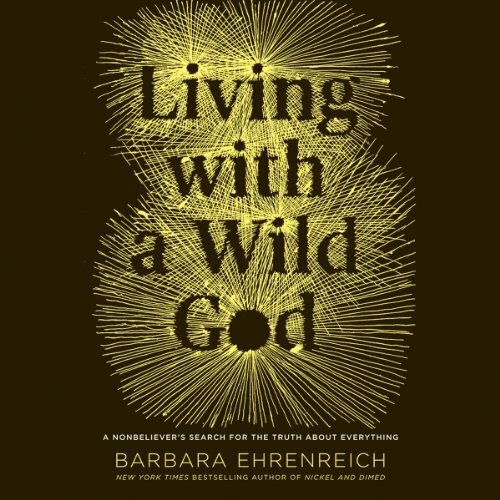 Certain to be a classic, Living with a Wild God combines intellectual rigor with a frank account of the inexplicable, in Ehrenreich's singular voice, to produce a true literary achievement.